AVAIL IN OCTOBER - KEYPAD ENTRY & PRIVACY HEDGING IN PROGRESS. INCLUDES ADT ALARM SVC & GARDENING. Quality 3+2 bath home in coveted Penmar area. Abundant natural light & great vibe on a quiet, wide street. 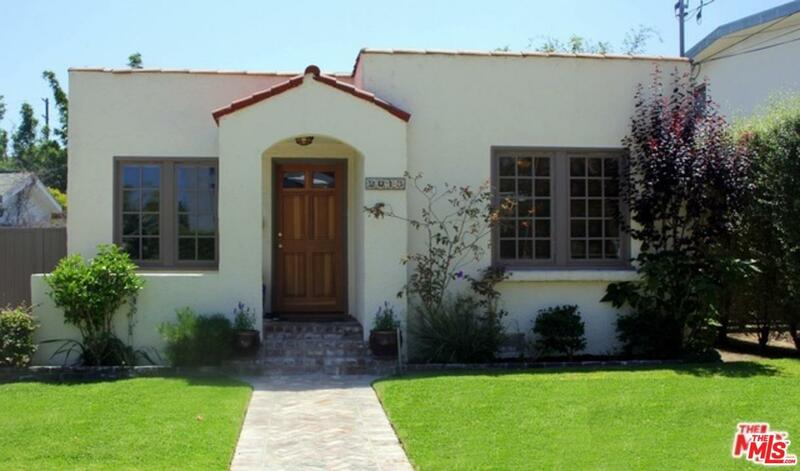 Walk to beaches/parks, shops/dining on Lincoln/Abbot Kinney, or relax at home in the amazing afternoon breeze. Huge backyard & patio are a sanctuary to decompress, entertain, and provide a secure area for kids. In-wall speakers deliver crisp music throughout the home & patio via 12-channel 12-50 digital Sonamp & two Sonos Connects. Play and control his & her playlist/stations by room concurrently from laptop/phone/ipad! Hardwood & stone floors, ceiling fans, dimmable lights, forced air & heat, tankless water heater and more. Marbled master bath has ceiling heater & Smart TV. Spacious kitchen & dining area is perfect for gathering while maintaining a noise buffer for living room activity. Top of the line appliances: Wolf stove, GE Monogram subzero, Bosch dishwasher, LG washer+dryer. Sold by Juliet Quintin-Archard BRE#01398235 of Strand Hill Properties. Listing provided courtesy of Kim Nguyen DRE#01398235 of Keller Williams Beverly Hills. Based on information from CARETS as of 2019-04-21T19:43:22.687. The information being provided by CARETS is for the visitor's personal, noncommercial use and may not be used for any purpose other than to identify prospective properties visitor may be interested in purchasing. The data contained herein is copyrighted by CARETS, CLAW, CRISNet MLS, i-Tech MLS, PSRMLS and/or VCRDS and is protected by all applicable copyright laws. Any dissemination of this information is in violation of copyright laws and is strictly prohibited. Any property information referenced on this web site comes from the Internet Data Exchange (IDX) program of CARETS. This web site may reference real estate listing(s) held by a brokerage firm other than the broker and/or agent who owns this web site. The accuracy of all information, regardless of source, is deemed reliable but not guaranteed and should be personally verified through personal inspection by and/or with the appropriate professionals.